First off because I've been so busy with school and whatnot I've decided that I will extend this event into November so that I can actually post all of the interviews (and I've also decided that just because Halloween is over doesn't mean that we immediately have to move onto Christmas, we can keep with the scary for another week), so make sure to check back next week cause there will be a few more interviews then! Once Upon a Teen Reader: Can you tell us about THE WALLS AROUND US in fewer than 10 words? Nova Ren Suma: Ghost story in two voices: one living, one dead. OUATR: So many YA novels these days focus on romance but you have almost completely removed that for the equation and focused entirely on the girls in this (and now that I think of it all of your) novel. Why is that? NRS: I will be writing a love story one day, and I’m saving all the romance for that. But also, there’s this: I have no interest in doing what everyone else is doing—just because there is a lot of something in YA novels and the audience may expect it doesn’t mean I’m going to force it in if it’s not right for the story I’m telling. For the writers and artists out there: Don’t ever be afraid to follow your own vision. Don’t be afraid to be YOU. OUATR: The two main characters in this book, Amber and Violet, are connected by Orianna but (if I remember correctly) we never see anything from her POV. Was that the case through all of the drafts or did she have a voice earlier on? Either way what was the reasoning behind keeper her viewpoint off the page? NRS: Ori’s story is told through the eyes of other people on purpose. She’s meant to be an enigma. I love stories that leave one character a mystery and you are left to piece together who they are by only what others have told you. OUATR: It's possible you are the queen of YA mind-f*ck novels and this is for sure your darkest book yet. How did you get into the minds of these characters and how were you able to write from their points of view while still making us question everything? NRS: Ha! Thank you. Can I put this in my bio? I wrote some of the most twisted and disturbing parts of The Walls Around Us in a tent that I built over my desk, a dark cocoon where I felt like I left my body and wrote straight down to the worst truth. I go in deep, and sometimes I have a hard time climbing back out. OUATR: Can you give us any insight into what you're working on now? NRS: I’m superstitious, so I can’t say anything beyond this: It’s a YA novel. There’s mystery. There are girls. Algonquin will be publishing it, but I’m not sure when because I have to finish writing it first! 1. On a scale of 1 to 10 how scary is your book? My own books don’t scare me—I’m the one who wrote them so I see all the puppet strings. To me, it’s a 3. But other people tell me it scares them, and I am so flattered by that. 2. Do you think you would survive in your own book? In The Walls Around Us, I would have been like Amber, hiding in crowds and eavesdropping and paying attention. If I stayed quiet, I would probably make it through. Then again, did Amber survive? There’s the answer, I guess. 3. What is your favorite scary movie? Ringu (aka The Ring), judging by the number of nightmares it gave me. 4. Do you have a favorite Halloween candy? Candy corn is disgusting, but I somehow can’t stop myself from eating it whenever it’s near me. Get it away from me. No, really, I mean, could I have some? 5. What YA horror/thriller would you recommend? Here are just three, because I like things in threes: This Is Not a Test by Courtney Summers. Amity by Micol Ostow. Bones & All by Camille DeAngelis. 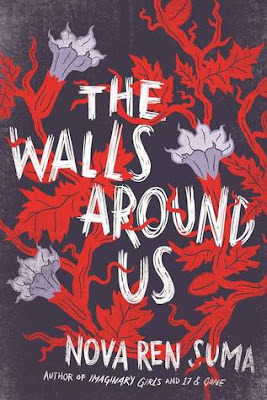 Nova Ren Suma is the author of the YA novel The Walls Around Us, which was named the #1 Kids’ Indie Next Pick for Spring 2015 and was published in March 2015 from Algonquin YR, as well as the YA novels Imaginary Girls (Dutton, 2011) and 17 & Gone (Dutton, 2013), which were both named 2014 Outstanding Books for the College Bound by YALSA. 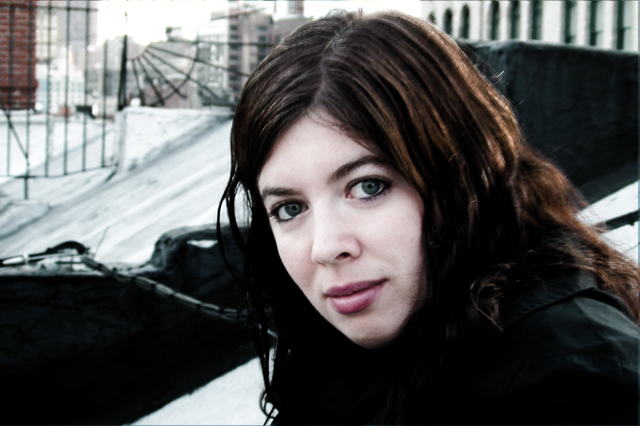 She is from various small towns across the Hudson Valley and now lives in New York City. Algonquin has provided me with a hard cover copy of THE WALLS AROUND US for me to give away, all you have to do is enter the giveaway below! This giveaway IS open internationally, so anyone is free to enter! Wow that 10 word description sounds interesting! I have not read or heard of any Nova Ren Suma books before today, but I will be sure to check some out soon! This looks like a fun, scary read! Loving the cover! I haven't read her work yet, but I'd love to start with this book! Great interview! I've read 17 & Gone and really enjoyed it, love the cover of this one, so really curious to read it. This sounds awesome! I have never had candy corn. Thanks for the interview! I have never read any of your books but I feel like this would be a wonderful start. The storyline sounds so interesting!